Great! It is about time that the border is closed until the Ethiopian government reasserts its rule of law in all its territories including the Tigrai. PMAA cannot play Mr. "Nice man" with an entity that is hell-bent on destabilizing his country and by extension Eritrea. Aregaw, that would have been even funnier if it was not a reality. LOL! But sadly, it is for most Africans! Topic: From the President's office. Re: From the President's office. Topic: Brain exercise: Which container will fill up first? Re: Brain exercise: Which container will fill up first? 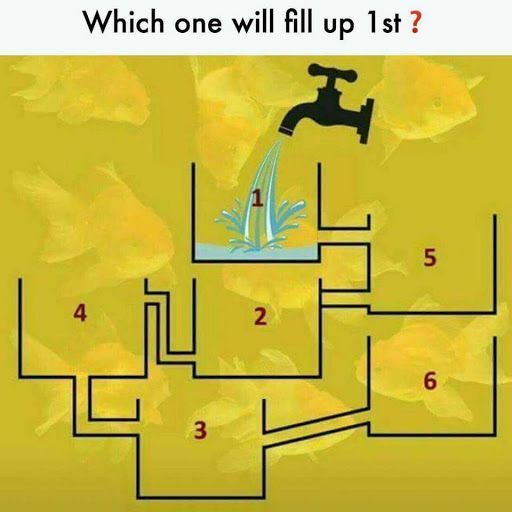 Which container will fill up first? Well, asrat, what is the answer to the puzzle you posted. I am assuming you got it from some medium? Topic: One man's hero is another man's villain. Re: One man's hero is another man's villain.